Raymond Limited has appointed Nirvik Singh as the Non- Executive Chairman and has inducted Anshu Sarin and Gautam Trivedi as new board members. Raymond Apparel Limited, a wholly owned subsidiary of Raymond Limited has appointed Nirvik Singh as the Non- Executive Chairman and has inducted Anshu Sarin and Gautam Trivedi as new board members. Gautam Hari Singhania has stepped down from the position of the Chairman and paved way for Nirvik Singh to take charge as the Non - Executive Chairman of Raymond Apparel Limited. 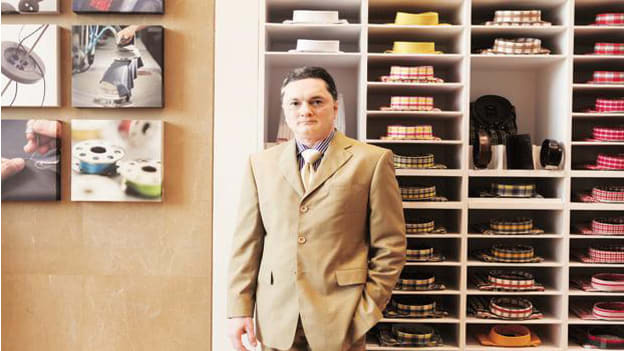 However, Gautam Hari Singhania continues to be on the board of Raymond Apparel Limited. Anshu Sarin has joined the Board as a Non-executive Director along with Gautam Trivedi who has joined the Board as an Independent Director. Operating in the space of branded apparel, Raymond Apparel Limited continues to grow its market share and offer the full wardrobe solution to the consumers. Commenting on the appointments, Gautam Hari Singhania, Chairman & Managing Director, Raymond Limited said; "I have always believed in setting the highest standard of governance and have always advocated to run the business professionally. I am delighted that Nirvik Singh has been appointed as the Non- Executive Chairman of Raymond Apparel Limited and I am sure that the company will benefit tremendously under his able leadership. I also welcome Anshu Sarin and Gautam Trivedi as new board members of Raymond Apparel Limited." Nirvik is a 27 -year marketing and communication industry veteran and is currently the Chairman & CEO, Asia Pacific, Middle East, and Africa of Grey Group Asia Pacific. Anshu is the Chief Executive Officer of Berggruen Hotels and plays a central role in growing and expanding the Keys Hotels business across India. She has previously worked with the Taj Group of Hotels and Kingfisher Airlines, in a career spanning nearly two decades.